Collect all the orders and reach 35000 points to complete the level. This level has hard difficulty as you need to make five striped candy combo with balancing the Odus owl. 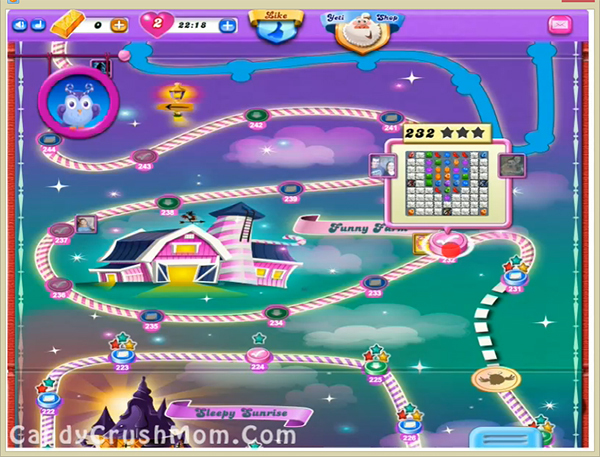 For this level you need to try to make striped candy and combine with each other while balancing the Odus owl. After moon struck you will get more chance to make striped candies that will help to reach requirement within last move. We completed this level with 136520 score using striped candy combo with focusing on balancing the Odus owl and reach requirement with three star score.